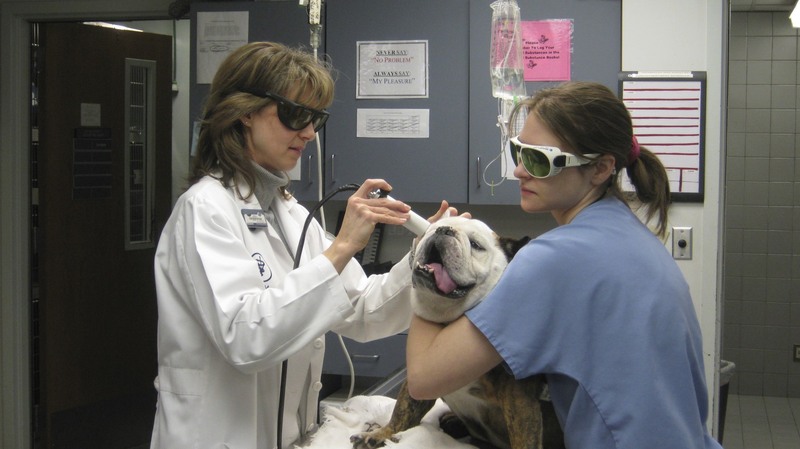 Laser therapy applied with the Companion Therapy Laser® system provides a sterile, pain-free, surgery-free, drug-free treatment which is used to treat a variety of injuries, wounds, fractures, neurological conditions, numerous dermatological problems, and pain. Whether your pet is rehabilitating from trauma or injury, healing from wounds, or simply aging, your companion will benefit from this revolutionary new approach to Veterinary medicine. 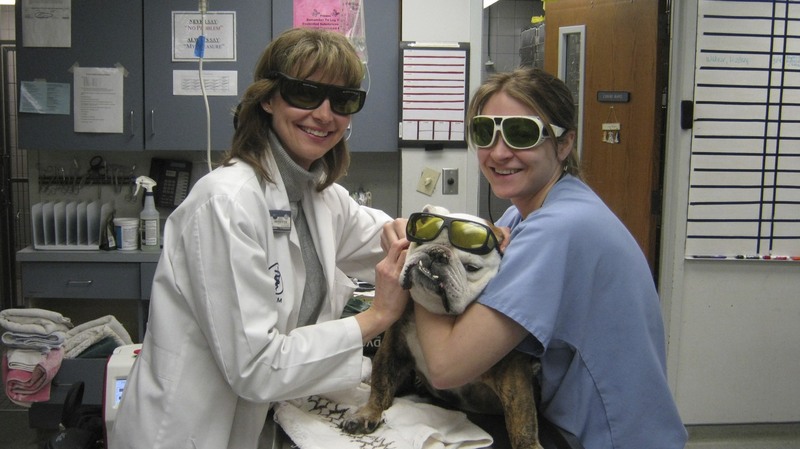 What to expect during a Companion Laser Therapy® treatment session for your companion? Frequently, after therapy, the quote is heard: "Our young animal is back" or "she acts like a puppy again." Pain relief is provided in just a few minutes of therapy and that alone improves the quality of life for your best friend. Reduce inflammation and heal damaged tissue through deep tissue penetration. Increase the body's cellular production of ATP (Adenosine-triphosphate) to treat and heal the inflamed area.